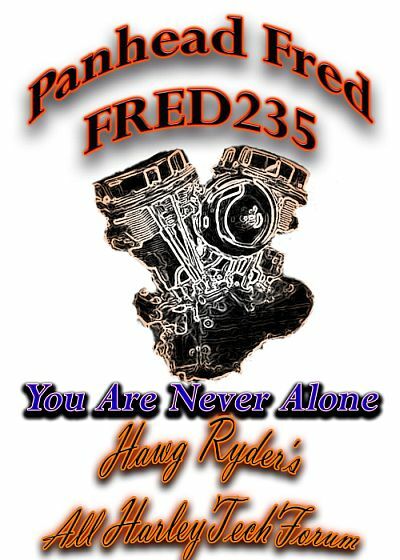 Welcome to Hawg Ryder's All HD Tech Forum homepage!! THE site for ALL HD riders, new or old, man or woman, rat bike or show!! is really a miniature study of the art of rationality itself. is to become part of a process, to achieve an inner peace of mind. The motorcycle is primarily a mental phenomenon." After more than a decade of managing the HR All HD Tech Forum....and contributing 10's of thousands of posts on this and other forums offering advice on just about anything and everythingthat can be needed for HD wrenching....I have semi-retired from the 'net....passing on ownership of the HR All HD Tech Forum to my Brother Bob BenRiden. Same great forum....same great folks! and learn all about keeping that scooter on the road. CLICK HERE TO ENTER THE FORUM!! OUR BROTHERS IN THE WIND.....FOREVER! 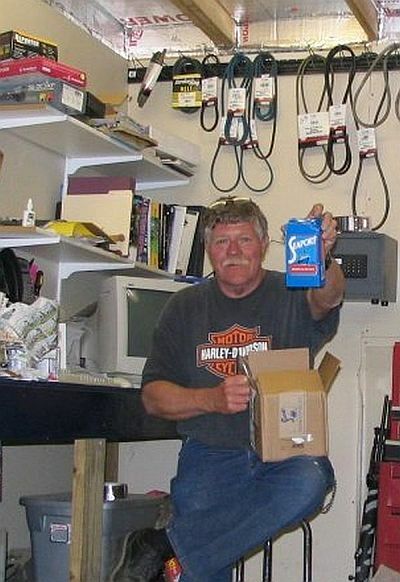 Raymond aka Tee Boy, one of the original members of the Hawg Ryder All HD Tech Forum...sadly missed by all. 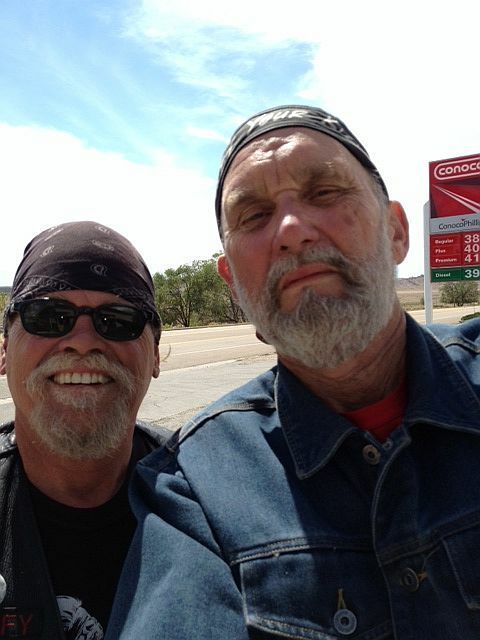 Ray was a biker through and through, he rode hard, partied hard, worked hard, loved hard, and lived harder. I am honored to have met him in person, shared a root beer or two with him, laughed with him, listened to him, and learned from him. Give 'em hell Tee Boy!!! Save me a seat at the bar, wherever that may be....we ain't done swapping tales yet!!! 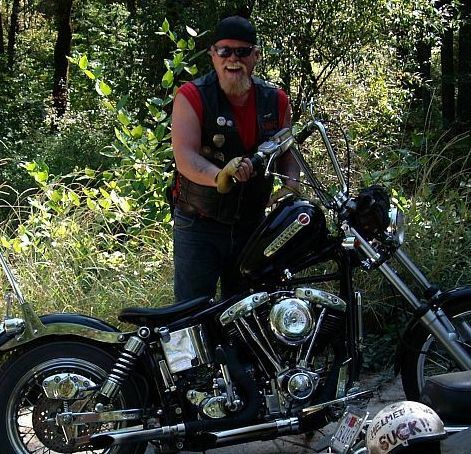 Little Tommy was anything but little...he was a big man with a bigger heart, who amazed everyone in the Hawg Ryder's All HD Tech Forum with his unbelievable knowlege of the HD world. Tommy was pure class, a shining example to everyone around him, enjoying life to the fullest even when faced with unbelievable challenges. He was my good friend and I miss our long discussions, I miss his laughter....most of all I just miss him. You give 'em hell too LT!!! I'll be looking for you and Raymond both to save me that seat at the bar, wherever it may be, 'cause I know we all have more tales to share!! Give 'em hell Fred, along with Raymond and Tommy...save me a seat, I'll be joining you to share some laughs again someday! Paul was one of those rare individuals....a bit of a crazy character who was the one of the best types to be called Brother by those who were fortunate to have known and loved him. He was a hard riding, hard partying, hard living, and hard working Okie through and through, living life his way on the tribal lands of his family's heritage, spending many a night sharing the secrets of life and learning from the little alien Clyde living in that spaceship at the bottom of his pond up on Ignorant Hill. I was fortunate to be able to spend some time with Paul, partying long into the night, when he taught me that life is an energy that never truly ends...it just changes form...and goes on for all eternity. Keep on giving 'em hell Old Man, I love you and miss you until that time when my energy changes form and I join the rest of ya'll crazy bastards at that bar....make sure my seat stays saved 'til I get there! And keep that keg tapped! !